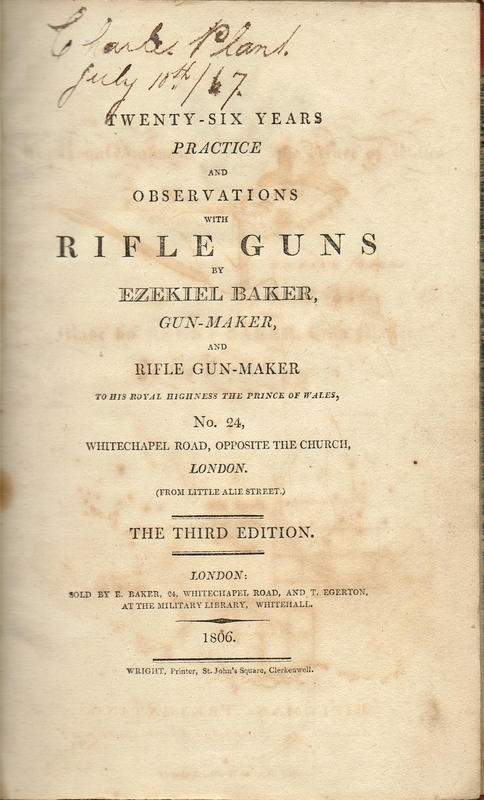 I was talking to a re-enactor at the Fenland Country Fair in August about Baker’s Rifles and the 95th Rifle Regiment that he was a member of, and I remembered that I had a copy of the 3rd edition of Ezekeil Baker’s little book – 26 Years of Observations with Rifle Guns so I though I would put it on this site – I did find the second edition reproduced on one site, and you can buy a reproduction – but they are often not very good. Here it is in .pdf form. Beware, it is a 35MByte file as it is the full colour reproduction in good quality, so it may take a while to load.